Brillante Mendoza, the Filipino director well-known for his award-winning independent films, is reportedly making a short five-minute film inspired by Marketplace During The Occupation, a painting by Fernando Amorsolo. The film is part of a film and art project by the National Gallery Singapore called Art Through Our Eyes. In said project, Southeast Asia's biggest directors have been asked to create five-minute films inspired by pieces of work from the gallery's collection. The project is being supported by the Singapore Film Commission. According to reports, the short films will be compiled into an omnibus that will start showing before the year ends. According to the Malay Mail Online, the National Gallery Singapore is currently in talks with the organizers of the Singapore International Film Festival for a possible collaboration. The festival will be held in November of this year. Aside from Mendoza, other Asian directors who are taking part in the project are Eric Khoo of Singapore who will take on Chua Mia Tee's Portable Cinema, Apichatpong Weerasethakul of Thailand, Joko Anwar of Indonesia who will take on paintings by the Indonesian artist Raden Saleh, and Ho Yuhang of Malaysia who will take on Aku which is a painting by Latiff Mohidin. 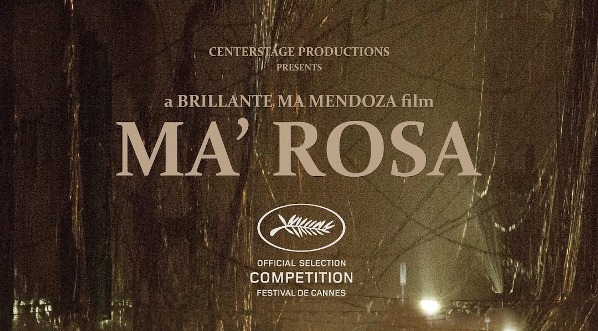 Mendoza's latest film is Ma' Rosa which is currently competing in the prestigious Canne Film Festival in France. The movie stars Jaclyn Jose, Julio Diaz, Baron Geisler, Jomari Angeles, Neil Ryan Sese, Mercedes Cabral, and Andi Eigenmann. Before Ma' Rosa, Mendoza made Taklub, Sapi, Thy Womb, Captive, Kinatay, Lola, Service, Foster Child, and The Masseur.